Number lines help primary learners visualize concepts such as sequencing, order, addition, and subtraction. 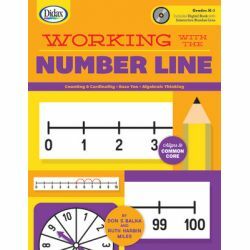 This book contains 40 number line games and activities which can be played as a whole class, in small groups, or in pairs. Blackline masters and interactive CD for whiteboard presentation included. 160 pages.